Fire Tiger Tooth multipurpose blade for cutting wood, plastic, steel, concrete, masonry and ductile pipe. 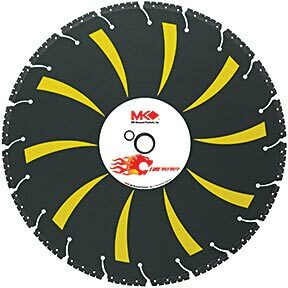 Outlasting abrasive cutting discs 100 to 1, the Fire Tiger Tooth is not only time saving but a cost effective cutting solution. Click here to download the Fire Tiger Tooth Blade Safety Instruction Manual.